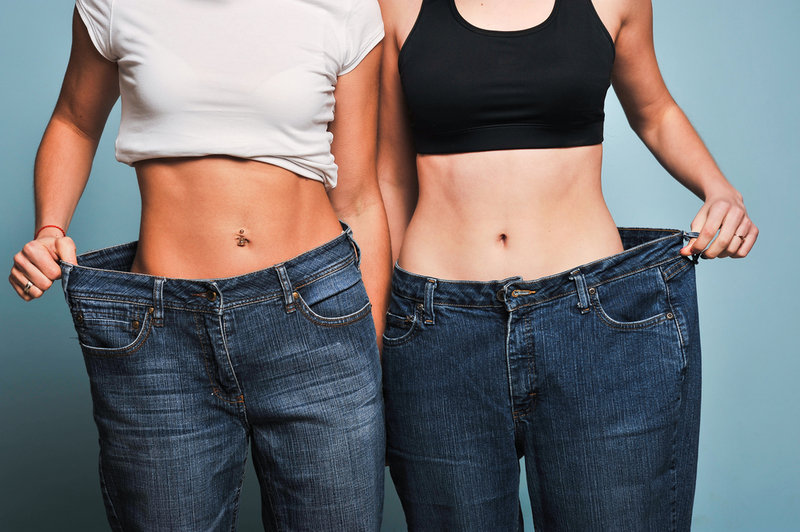 While you are in the middle of a new regimen to lose weight, it can be frustrating that your old clothes no longer fit but you are not quite ready to buy an entirely new wardrobe. When you are in between sizes, it can be awkward because things start to fit strangely and sag in unfortunate ways and places. Here are four terrific tips for still looking stylish on your way down the scale! Please try to avoid anything that might be oversized or shapeless anyway. Not only will that hide the progress you have made, but as you move into smaller sizes, these particular items will just look saggy, frumpy and unflattering. Fabrics with some give and stretch to them will be your new best friend. When the fabric can give and stretch with your changing body, a flattering and attractive fit will be easier to maintain before you have to buy new items altogether. The foundation of every outfit is a good foundation garment. Make sure that as you lose weight, you are still wearing the right size bra. If this one item fits poorly, it can change the look of every outfit you put over it. When in doubt, do not buy it. While your body is still changing, please do not rush out and replace every item you were wearing before. This can be a very expensive method first of all. And second of all, if your journey is still ongoing, you will just end up with more clothes that do not fit your new figure properly. Just remember, you did not gain the weight overnight and you will not lose it overnight, so be patient with yourself and celebrate the milestones! This entry was posted in Style and tagged Beauty Frizz, BeautyFrizz, Body, changing body, clothes, dress size, dress well, fashion, garments, lifestyle, live well, lose weight, new clothes, outfit, oversized, shapeless, size, slim, slimming, stretchy, style, transformation, weight loss.